Spacious and luxurious apartment, away from the traffic and the 'summer heat. 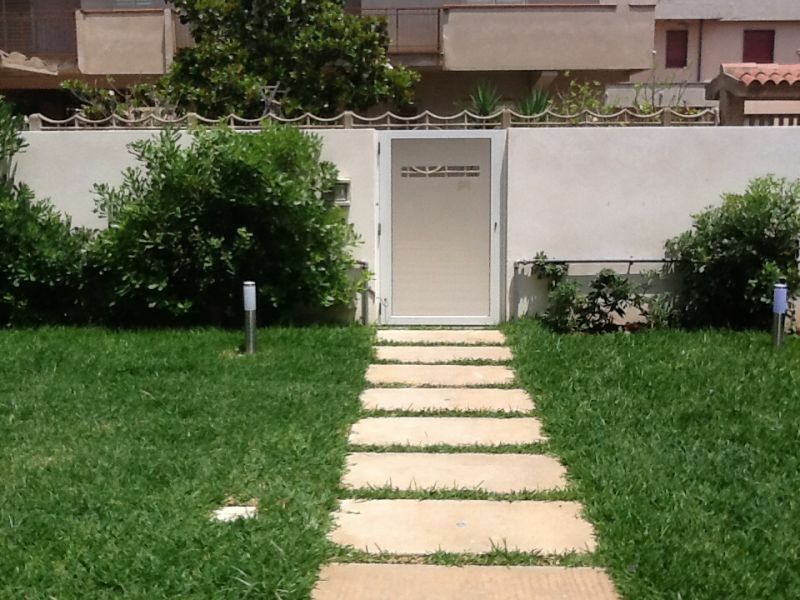 Newly refurbished ground floor of a family house with private garden where you can use a fully equipped barbecue. It has a spacious veranda where you can dine and relax on comfortable and elegant seating. Well furnished and equipped with dishwasher, washing machine, iron, hair dryer, oven and microwave, home theater, Wi-fi, air conditioning, satellite TV and all other accessories for a holiday comfortable place to relax with friends and family friends. 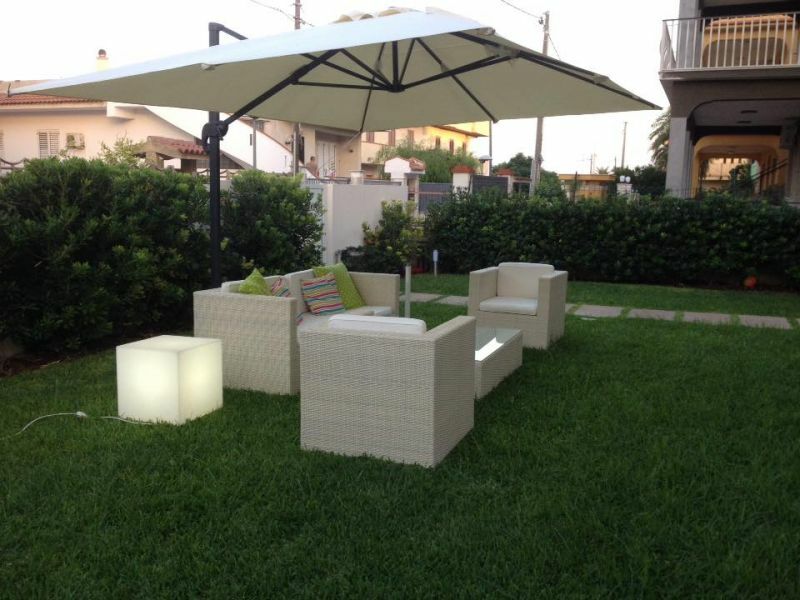 The apartment is located in Via Guido Dorso, 15 in Avola, a pleasant seaside town just 5 km. from historic Noto and 70 km. from Modica and Scicli, UNESCO heritage sites. Easily accessible are: Syracuse 15 km, 80 km to Catania, Taormina 110 km. The location is ideal for excursions to the nature reserve of Vendicari and the lakes of Cassibile Casagrande at just a few kilometers. from Catania - Gela motorway, exit at Avola drive to the first roundabout, take the second exit and continue along the promenade for about 2 km. Turn right into Via Guido Dorso and after about 60 meters there is the apartment. Thank you dear Rossella for the beautiful words. You too have been exceptional and affectionate. A hug to everyone, especially Matteo is part of Gaetano. We were welcomed very well. The house was impeccable and above all really clean and had no hidden flaws. Everything was as described. It is in a great location. The sea is not more than 100 meters away on foot, but other beaches could also be reached easily. From there it is easy to reach cities such as Noto and Marzamemi. The area is widely served by various supermarkets. Thanks Marina for the nice review We are happy to have made you feel good. We hope to welcome you again in the future. Greetings to all of you and a particular basin to the little one. Excellent reception of Mrs. Ada and her husband always available in our every request. 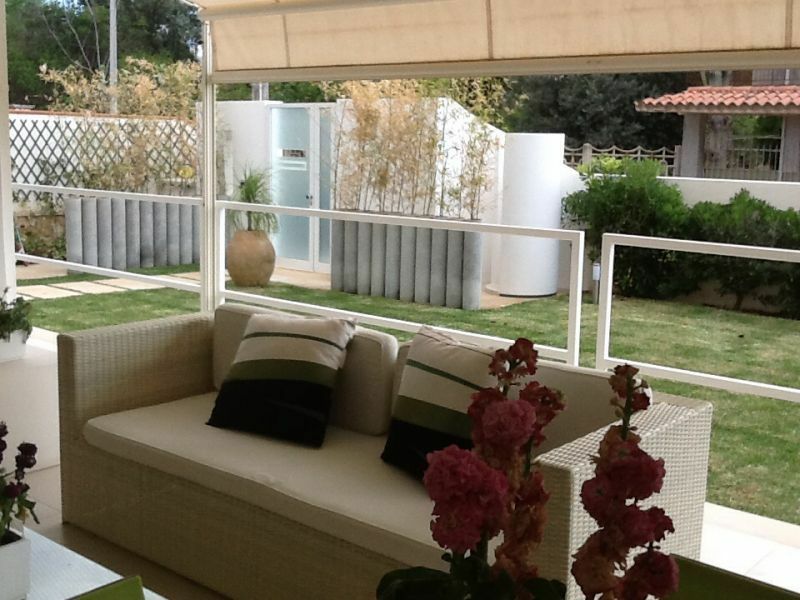 Apartment furnished with taste and clean very close to the sea. The ideal place to spend a holiday in complete tranquility and relaxation. My family and I had a great time. 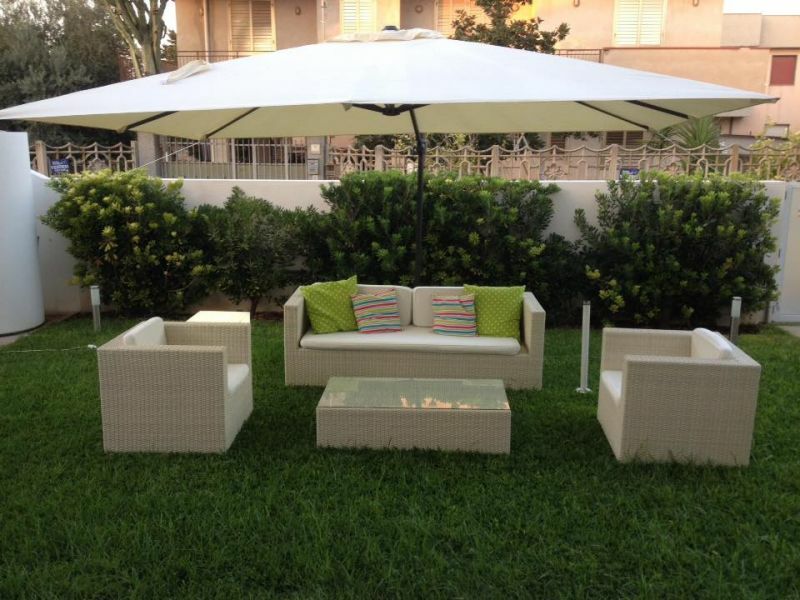 It was a pleasure to have chosen this carefully furnished apartment and having stayed there. We were welcomed by Fam. Campisi as we were family. To recommend it to anyone who wants to spend some days relaxing with a wonderful sea. Thanks for the wonderful comment. Happy to make you feel at home. Beautiful apartment with every comfort, especially appreciated the outside shower and the beautiful veranda. Owners available and sunny as well as beautiful Sicily. I highly recommend this apartment, especially to those who have very small children too. Thanks Antonella for the beautiful comment. We are happy to know that you have been well. I hope to reinvigorate our guests. We look forward to reinvigorating our guests! beautiful holiday, house sparkling clean and comfortable, friendly owners courteous and helpful, we'll be back again next year, I recommend it to all my friends ... ?? Thanks Mark, you and your family are wonderful people. It will be a pleasure to host you again. Beautiful house and equally the area, highly recommended for its proximity to the beach and the boardwalk. 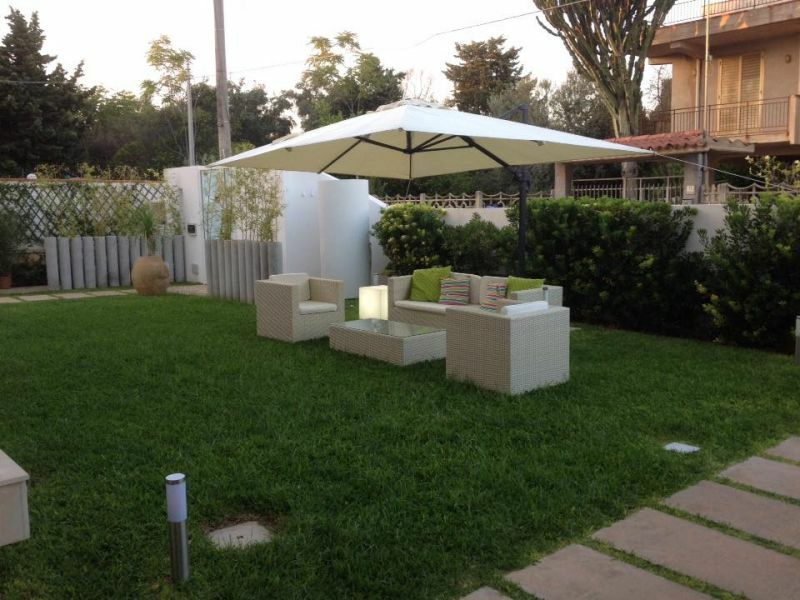 modern house is situated in a quiet street, discreet owners and disposal. In the future we will definitely return. Thanks for the nice review. You were perfect tenants, and shall be glad to host you again. A kiss to the small. In addition to the beauty of the places, our holiday was enhanced by the spacious quality of the apartment, equipped with many facilities and really a few meters from the beach. The friendly and helpful owners. We were guests of Mrs. Ada 13-20 agosto.ci great time from the start we were greeted with kindness and put immediately at agio.la comfortable house is beautiful and there is really nothing is in an ideal location to visit many beautiful places rich in history and fascino..in 10 minutes we were known in 20 Marzamemi Syracuse ... then the house is really 2 steps from the sea ... a clear sea with always warm water and perfect for those who like us had kids. Ada and Giancorrado are two wonderful people and they recommended many important and beautiful things to do. Then having kids was a bit 'of noise but they never complained. Thank you from all of us and see you soon. Thank you very much for the nice words about us. We are happy to have made living a beautiful experience. Thanks to you. A kiss to all and especially to Asia and Stefano by Gaetano. We had a great week a very cozy home that has all the requirements. Cleaning is king seems to be in their own home. The veranda is ideal for lunch or dinner alone or with friends and has all the necessary comforts. the sea is just across the main road easily accessible even for those with small children. Mrs. Ada, the hostess is very nice and helpful. In a nutshell it is a perfect home for a wonderful relaxing holiday. Also along the beach there are numerous bars and restaurants within easy walking distance. Francesco thanks for the wonderful review. It was a pleasure meeting you. Hugs to you and a basin for enfants. We stayed two weeks in the house of Ada and Gian Corrado, a beautiful holiday that has regenerated. The house is equipped with every comfort, super tidy, spotlessly clean, modern furnishings, cured in every particular and exceeded all their expectations. The Ms. Ada gracious, hospitable, always discreet made us feel at home. 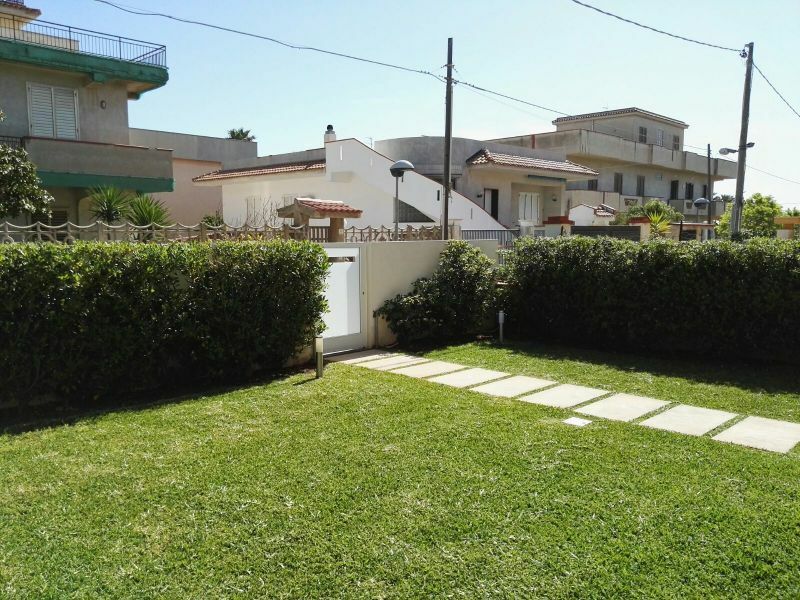 The location is perfect close to the sea and convenient to visit wonderful places like Noto, Siracusa, the Vendicari Reserve. Avola not being much tourism has given us the true Sicilian traditions. We love the place, the sea, the people's food, constant dell'Arietta that refreshes the days and this fantastic house which has spoiled us with its beauty and its amenities! Dear Manuela, his comment has filled us with joy. Not as we hoped. It was a real pleasure to meet you. Thanks for the beautiful and loving words. We stayed in the house of Mrs. Campisi for two weeks and it was a beautiful holiday. The hostess is a very kind woman and very attentive to satisfy all the needs / demands of the guests: you see that is keen to ensure that everyone feels at home. And it's so. Apart from the initial impact when you arrive and you find yourself in a narrow alley where is the house with the ground floor apartment that is rented, maybe you a little disconcerting ', immediately find yourself in a beautiful house, with all amenities, with a large terrace furnished with lounge and table and chairs where you can eat and relax after a day of sightseeing or beach. The house, which is that of the family, has everything you need, including televisions and air conditioners in every room, a super comfortable bathroom, kitchen with all appliances, a large lounge, a laundry room and back outside ... . in the garden then you have the possibility to use an outdoor shower with hot and cold water, so you can rinse and do not bring sand in the house returning from the beach. The location is a bit 'secluded from the city center,so for the "big expense " you are forced to move in the car, but every morning, the early (Sunday excluded), the alley comes the Baker pickup truck that brings the bread, croissants and biscuits, and immediately after that of the greengrocer .... of course .... all fresh products; a few minutes walk from the house you have 2 fishmongers, 1 wine cellar, a shop selling local products, 4 restaurants, and the waterfront where, stretching a bit 'the way, you can find other places to eat. It is not an area where tourism is king, at least not yet, but this is definitely an advantage. The people are all very kind, and if you need help or advice you are given with generosity of spirit. Although the apartment is in a building inhabited and in the midst of houses they lived well, there is an incredible tranquility, children never hear them, yet there are, the impression that you've never seen, live in the midst of locals, in their daily lives, but no crowds, noise or hassles. And then the sea! he left his house, crossed the street, cross the street and go down to the beach (3-4 minutes maximum including time foropen the umbrella! ), a public beach, and stay entranced. Every morning the beach is tidied, it is not perfect (better than in areas equipped! ), The water is clear and spotless. A dream. All rooms come with their umbrellas, and even us because Ms. Campisi besides letting us find beach towels, has provided us with even an umbrella! You can take to eat on the beach or make a trip home to eat in a few minutes, as if the beach were your staff. Here, too, the people, almost all local (at least in the period we stayed here I think we were the only tourists), are polite, discrete, and educated: no crowds, super-behaved children, no dirt on the beach .... It makes you ask if such a place really exists! We alternated between the beach under house days days of discovery of the other nearby beaches (one more beautiful than the other), and visit the surrounding places. And even then Mrs. Campisi was very valuable in giving us advice, directions. From Lido di Avola six not far from Syracuse, close to Noto, and not far from other placesworth visiting: Marzamemi, the tip of Sicily with the Island of the Currents, Ispica, Scicli, Ragusa, Modica, the beaches of Santa Croce Camerina etc .... a wonder. We had a great holiday, and if you do not look for the "comfort " of the equipped sea resorts, with locals from nightlife, but also making fun of the inevitable crowds, chaos, dirt, etc .... Here surely what you need to make a beautiful holiday. So a heartfelt thanks to the hostess, undoubtedly one of the "things " the most beautiful of this our vacation, and yes, if you want something special, this house is definitely the right place. Thanks very kind gentleman Marina and Marina. Your beautiful review, as well as give me an immense pleasure, he also touched me very much. It was a real honor to have had in our house.